If they are living in a common law relationship, one or both persons terminate the relationship. Under the FLA, section 3(4) says that spouses may be separated despite living in the same residence, and the court may consider as evidence of separation, communication by one spouse to the other of an intention to separate permanently and action taken by a spouse that demonstrates the spouse’s intention to separate permanently. Under the FLA, many rights of spouses come into existence upon the separation of the parties. Therefore, often an important question is when the separation occurred. In the recent case of Ngo v. Do, 2017 BCSC 83, Justice Punnett was asked to determine when the husband and wife separated under the FLA. The parties had drastically different stories about when they separated. The husband stated that they separated in 1996, soon after they arrived in Canada from Vietnam and the wife stated that they separated in June 2012, when she moved from the main floor to the basement suite in the family home. I accept the evidence of the claimant and the parties’ children over that of the respondent. That evidence establishes that the parties were married and living together up until the summer of 2012. It also establishes that they shared the same bedroom and had a continuing intimate relationship, the latter acknowledged by the respondent and confirmed by the birth of two of their children. Both of the older children who testified came across as intelligent young adults of whom any parent would be proud. I do not accept that they were “brainwashed” by their mother as alleged by the respondent. It is inconceivable that they would not be aware that their parents were separated as described by the respondent if that was the case. The respondent relies heavily on the fact that since the 1990s the parties have filed tax returns as separated individuals and further that the claimant has declared over a number of years she was separated in order to receive social assistance and employment benefits. In addition he points to the separate addresses noted on various documents. The respondent asserted throughout that such documents and those relating to the real properties and the vessels corroborated that he and his wife were separated prior to 2012. He stated that everything was proved by the documents and when pressed on the true ownership of the real properties responded by saying there was no proof that he was the true owner. He appeared to be of the view that if a document stated something that established its truth. While the respondent may have sought to obtain financial advantages by “documenting” separation both with respect to income and property I do not accept that showed an intention to separate. Rather they were efforts on his part to create a false impression of his marital relationship for financial gain. 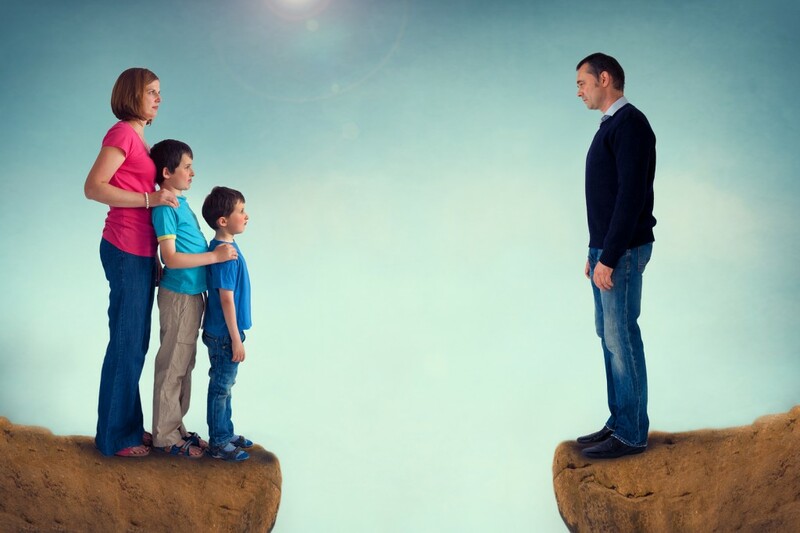 At the same time the evidence of the claimant and the children and his continued relationship with the claimant along with their cohabitation establishes his intention to remain together rather than separate. His comment during cross-examination that in Canada if nobody supports a family the government will is telling. I conclude that his attempt to document their lives as living separate and apart was designed by him to take advantage of government payments and tax advantages in order to maximize such for the benefit of his family and to reduce his financial obligations to his family. I conclude that throughout the respondent was seeking to separate his financial interests from those of his wife and family in order to preserve such financial benefits for himself. I find that his intention was also to protect his assets from any claim of his wife in the event of separation. That is also consistent with his efforts to hide his ownership in assets such as the two real properties. I say this because of the manner in which the properties were initially viewed with the claimant and their subsequent purchase leaving the claimant with the impression that he had become the owner. In addition his use, rent free, of the Maple Ridge property and its transfer to him as a gift shows no advantage or benefit to his cousin, only to him. His alleged sole occupation of that property also runs counter to the clear evidence that he and the claimant were a cohabiting married couple from 1996 to 2012. The explanation of the respondent respecting the marriage relationship and the property purchases is highly implausible. When assessed in the context of the evidence as a whole, the respondent’s alleged lack of memory of various matters, his failure to call his cousin, the improbable acquisitions of the properties and their use followed by the gifting of the equity in them to him along with the vessel lead me to reject the explanations of the respondent. It is improbable that Mr. Den Van Ta, given his own family obligations and assets, would gift such significant amounts to Mr. Do. It is also improbable that Mr. Do’s cousin would purchase the Maple Ridge property, retain it for several years and then gift it to Mr. Do. It is more probable that the properties were in fact those of the respondent but were registered in the names of others than is the explanation that they were simply gifts. In all of the circumstances the latter is simply not believable. I do not accept that the transfers of the two real properties or the vessel were gifts. Overall I am satisfied the respondent structured the financial circumstances and assets of the parties to take advantage of such government funding as was available and to seek to insulate them from any claims of the claimant. As I have indicated Mr. Do is the dominant party in the relationship. Ms. Ngo stated that she was instructed by Mr. Do to show a different address and hold herself out as separated in order to receive various government benefits. She stated that Mr. Do in fact helped her fill out the monthly welfare forms that she was required to submit over a 7-year period. I find that the claimant and the respondent did reside together as husband and wife until the claimant moved downstairs in the 52nd Avenue home in July 2012. I find as a result that the parties separated in July, 2012. As there was nothing in writing in this case about the date of the parties’ separation, the court had to make a determination based on the evidence they had in front of them. If you’re not sure whether you’re considered separated and want to make sure it is clear to both parties, and eventually the court, contact us for a free consultation relating to your family law or estate law case. Thank you for sharing excellent informations. Your web site is very cool. I’m impressed by the details that you’ve on this website. It reveals how nicely you understand this subject. Bookmarked this website page, will come back for more articles. You, my friend, ROCK! I found just the info I already searched all over the place and simply could not come across. What an ideal web site.